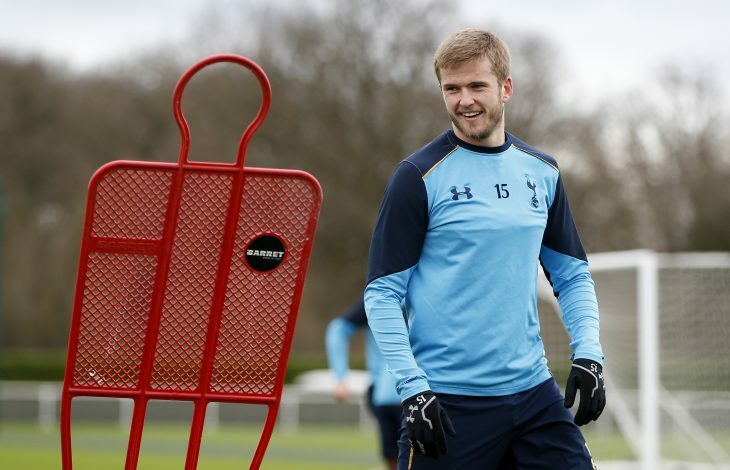 Manchester United are confident that they will be able to lure Eric Dier away from Tottenham Hotspur in the summer, according to reports in the Daily Telegraph. Spurs value Dier at around £40 million, and United have been keeping close tabs on his performances at White Hart Lane this season. Mourinho is said to be keen on bringing the England international to Old Trafford, and is willing to play Dier in his desired position at the center of United’s midfield. The 23-year-old had lost his place in Tottenham’s team in the early stages of the season following the emergence of Victor Wanyama, but was reinvented as a center-back by Spurs boss Mauricio Pochettino, playing on the right side of a back three – a position in which he has shone. Dier is still said to believe that his best position is in midfield though, and the prospect of playing there for Mourinho’s United side could tempt him to make the switch to the Theatre of Dreams. Tottenham are unlikely to let go of Dier easily, and chairman Daniel Levy – known for being a tough negotiator – has been a thorn in United’s side in the past, when the Red Devils were preparing deals to sign Michael Carrick and Dimitar Berbatov. However, it is believed that Spurs might be a bit more willing to let the midfielder go should they succeed in their attempts to bring in defender Michael Keane from Burnley. United are also understood to be interested in Keane, who graduated from their academy, and have a sell-on clause in his contract with the Clarets – meaning he could be signed for much cheaper than Burnley’s £30 million valuation. However, if Keane decides to make a switch to White Hart Lane instead, he would slot straight into Spurs’ defense – hence paving the way for Dier to move to Manchester United. Tweet to get in touch with Reyhan Ashley.